Waiting is finally over! 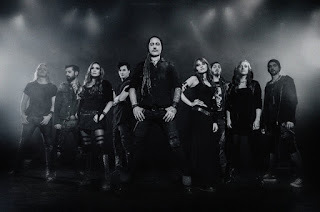 Folk metal superstars ELUVEITIE have taken a lot of time with the search for new musicians to guarantee you the best possible line-up of all time and with the help of a countdown on their homepage they have presented little by little the new formation with wanted poster, videos and interviews. On the 1st of January, they finally announced the last new band member - so the complete new line-up is set! This happened just right before the band's own festival, 'Eluveitie & Friends', will take place at Z7, Pratteln, Switzerland on the 6th/7th of January! 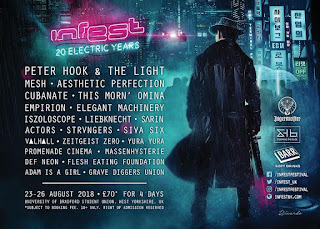 At this festival, ELUVEITIE will perform with their new line-up for the first time! Welcome to the family of ELUVEITIE (at the picture from left to right): Jonas Wolf (guitars), Matteo Sisti (whistles, bagpipes, mandola), Nicole Ansperger (fiddle), Alain Ackermann (drums), Chrigel Glanzmann (vocals, whistles, mandola, bagpipes, bodhran), Fabienne Erni (vocals, celtic harp, Mandola), Kay Brem (bass), Michalina Malisz (hurdy gurdy) and Rafael Salzmann (guitars)! The band states: "Above all we're super happy and thankful that we're complete again (even more than complete, actually) and given the chance to have such gifted musicians on board! What could be a better start into a new year? 2017 is our year! We cannot wait to enter the studios soon and finish »Evocation II«. And right afterwards we'll be back with full force to rock the summer festival stages. Cheers & sláinte."